When I came home, there was so much to do and catch up on, but it was Indian Summer - the last of the warm days. 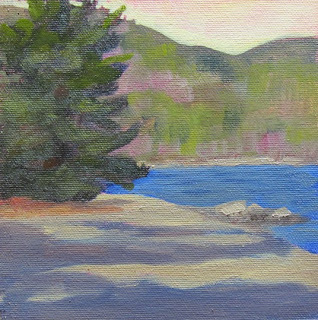 Mary and I went out for a plein air sketch by the river. We had great ideas of doing a second one but that was dashed by the early sinking sun and therefore cold fingers and stiff paint. Ahhhh, the joys of northern plein air!